Born in New Delhi, India but having spent formative years in Germany and the US (Bay Area), Delhi Sultanate, has long pioneered the sounds of Dancehall / Hip Hop and performance poetry in India. In addition to his solo career, he is the MC and a founding member of BASSFoundation, New Delhi’s first Dubstep, Drum ‘n’ Bass and Reggae sound system, as well as lead singer of India’s first Ska and Rocksteady band The Ska Vengers. In 2010 he started ‘Word, Sound, Power’ along with producer Chris McGuinness, who is based in Brooklyn, NYC. 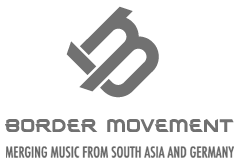 The organization is dedicated to producing documentary films and musical collaborations featuring revolutionary singers from different parts of the Indian subcontinent. Word, Sound, Power creates bilingual tracks that embody the revolutionary and uplifting spirit of Dancehall Reggae and reflect life in India. The venture received extensive coverage by AFP, BBC Asian Network and MTV. The films can be viewed on wordsoundpower.org, where all the music is available for free download! Delhi Sultanate’s recent solo releases NYC-2-India with Subatomic Soundsystem and Criss & Shine respectively went to #1 on Beatport Reggae Charts and Juno Hip Hop singles charts. He has collaborated with Sizzla Kalonji for an upcoming track, as well as many other notable dancehall MC’s. He has opened for Julian Marley and Snoop Lion on their recent India tours and has shared the stage with Dub Phizix, Jazzsteppa, General Levy, Ant TC1, Subswara, Surya Dub and the Reggae Rajahs. Apart from his musical pursuits Delhi Sultanate trains in traditional martial arts and holds a Masters degree in South Asian Area Studies as well as an MPHIL in Indian History.